One way to highlight your thought-leadership on your blog is by inviting other experts to contribute. You can do this through interviews, as well as guest posts. 1. Decide What you Want. 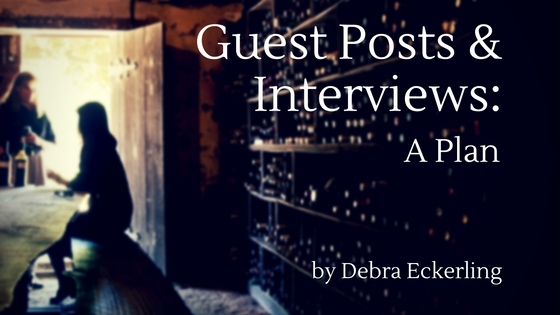 Are you seeking interviews, guest posts, or both? For interviews, will you do them via phone, Skype, or via email? If email, what is the length of the post. Also determine what additional information you want: headshot and book or product image, how many links, and how long of a bio. For guest posts decide on your ideal length, as well as image needs. 2. Make a Wish List of 10 Experts. This should be a few people you know, as well as ones you want to get to know. 3. Get Contact Information. If you do not know all the people on your list persoanlly, see if you can get an intro from a friend or peer. If all else fails, tweet to them or message via their most active social media platform. 4. Write a Standard (but Customizable) Intro Email. Let them know who you are, what you are requesting, and information about your site. Include some sort of personal detail (something you like about them or their blog), so they know it is not a form letter, and request they get back to you if they'd like to move forward. 5. Write a Detailed Request. Have this ready to go for when your expert says, Yes. If you are conducting the interview, decide the details (how much time you need and how you will do it - in person, phone, Skype). If it's an email interview or guest post, give them the word count. Be sure to request images, links, and social profiles, so you can easily share the published posts. And don't forget to give a deadline. It should be at least a week before your publish date. 6. Make a Chart. Create a simple spreadsheet to track your requests, responses, and deadlines. 7. Prep your Post. Decide how you will format these contributor posts for consistency, as well as to make the process easy for you. 8. Publish. When your post is ready, schedule or publish it! 9. Share. Share the post link (with graphic for better exposure) on your social networks. Also, tweet to or tag the contributor, depending on the platform. 10. Thank Your Guests. Send the link to the post in a follow-up email, along with a thank you. You many also want to include sample social posts with a request for your guests to share. This will make sure everyone gets the most benefit out of the opportunity. Whether you interview experts or invite people to post, it's helpful to have a plan, as well as guidelines for your guests in place. It will save you time and energy, while giving your guests tips to make the most of their exposure on your blog. What do you think? 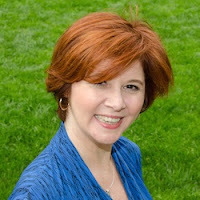 Do you run expert interviews or guest posts on your blog? What is your process? Share your thoughts in the comments. Debra, great tips for finding guest bloggers and interviews for your blog. No.3 is an important one. Sometimes it's difficult to make that initial contact. Thanks, Karen! For sure. Sometimes you just need to develop rapport by commenting on other people's social media. In other cases, look for common connections. The leg work takes time, but is often worth it. Thank you for such a helpful post, Debra. It's one I will keep and follow. Thanks, Linda! Happy to hear it! Deb, zero I don't do interviews for my blog because it is so difficult to make them interesting. It's hard to keep the answers short. It's hard edit them iso that only the sharp, witty statements, etc., because interviewees don't expect to be edited. And if bloggers don't insist on having the same rights to edit as, say, Time magazine, we can't possibly keep it interesting enough to keep our readers engaged. Hi Carolyn, Totally understand and respect your POV. I actually started writing additional content for my blog (beyond my newsletter and meeting updates) because I wanted to interview a friend to support her book release, and to give insight into her process. Then, I kept doing them. I guess the solution to the challenge you highlight is, if inclined, to have editorial guidelines/or at least an editor statement: "We reserve the right to edit any content before posting on this site ..." And then incorporate that time ("7.5 Edit") into your process. Carolyn, your comment is very helpful, thanks. Carolyn, thank you for that valuable information. I have done a few posts for others. However, I need to seek out some for myself; your article will prove most helpful.